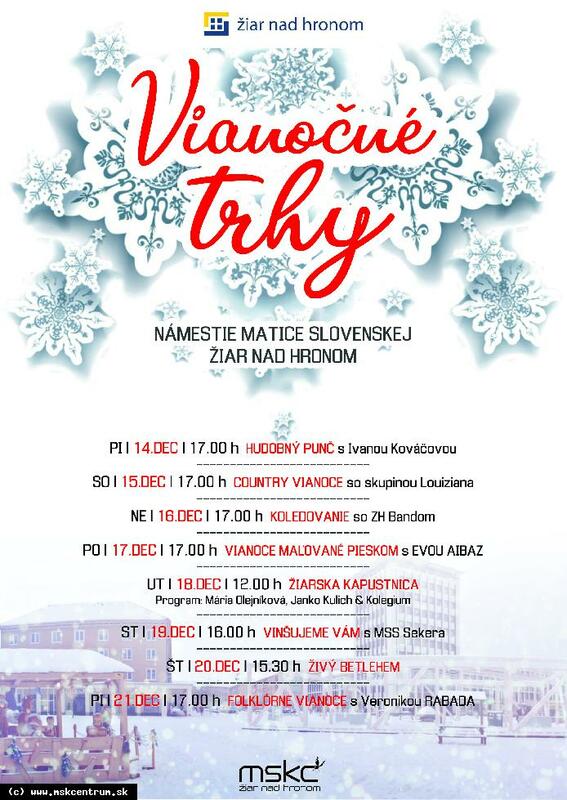 The town of Žiar nad Hronom and the City Cultural Center invite you to an interesting cultural program of the Christmas markets. stage with a mix of world and Christmas hits. Louiziana full of well-known country and folk songs. Kulich & Kolegium with a christmas song program about gigantic villages. in the original submission of the male singer group Seker. the Holúbky of the Cross. Ruda or Kandráčovci with a new program of songs and collies.